On a 50 m pavement stretch at Nørrebro in Copenhagen you can now walk on water. 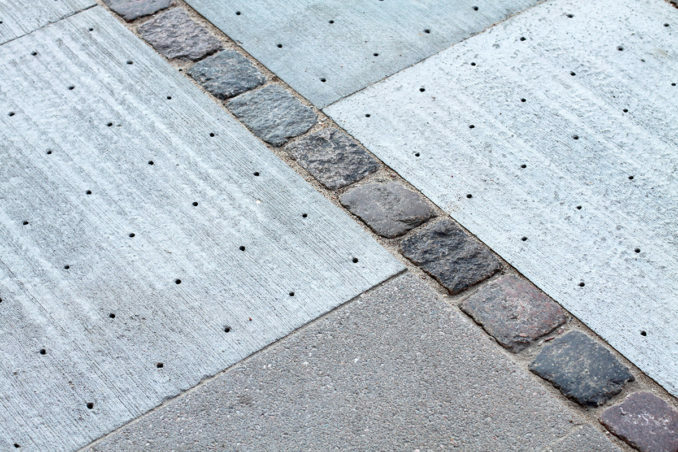 A pilot sidewalk for the innovative climate adaptation project The Climate Tile is now laid out in front of Café Heimdalsgade22, to the delight of guests and residents in the street. The project will be inaugurated September 27th by the City of Copenhagen’s Mayor of Technical and Environmental Affairs. The Climate Tile pilot sidewalk not only contributes to the street’s climate adaptation, but it also adds further qualities in terms of trees and planting, spaces for stay and a more beautiful surface. The Climate Tile is designed by THIRD NATURE and developed in collaboration with IBF and ACO Nordic, as a new scalable climate adaptation solution aimed at densely populated cities. 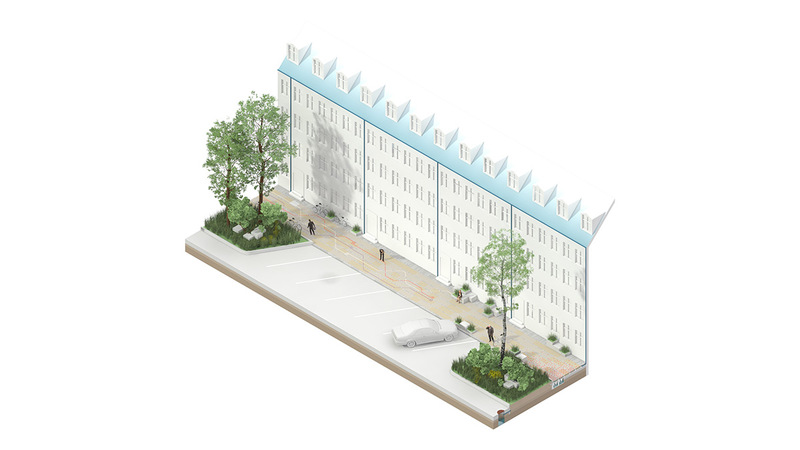 The pilot stretch is a huge milestone in The Climate Tile’s multiannual development process and will be celebrated by the project team together with the City of Copenhagen, Realdania, The Market Development Fund and other collaborators. 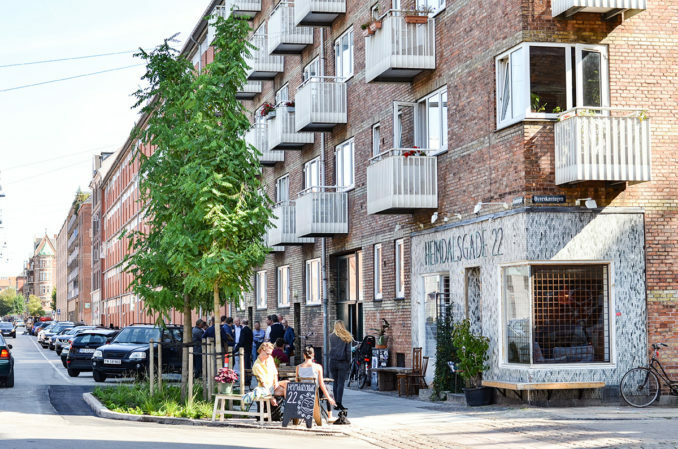 Ninna Hedeager, Mayor of Technical and Environmental Affairs will officially open the sidewalk September 27th at 5pm in front of the café at Heimdalsgade22. Everyone is welcome to join! 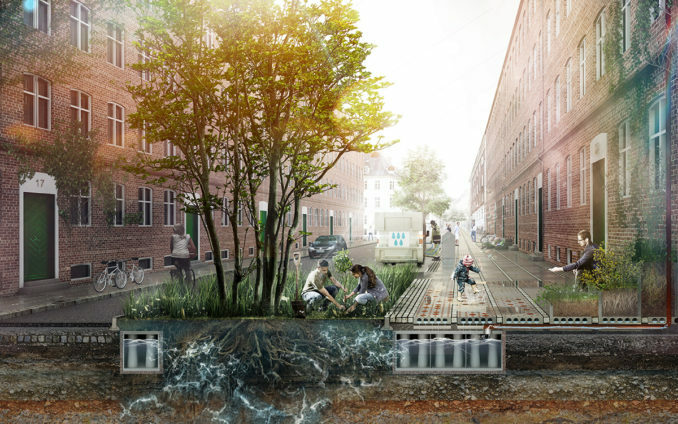 The Climate Tile is a new scalable climate adaption system for future cities. 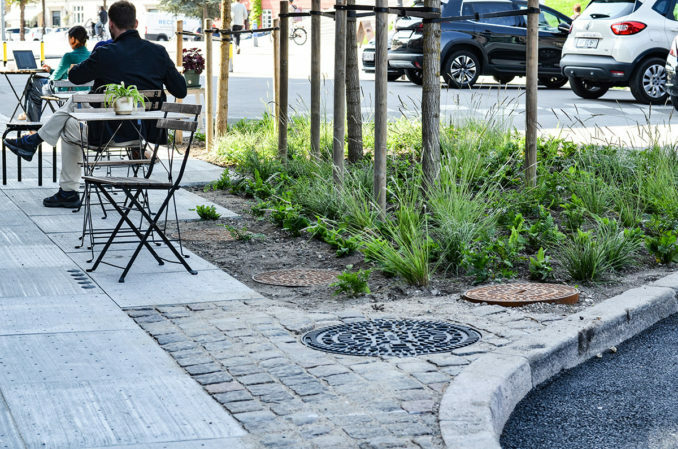 It equips the sidewalk as we know it with a set of additional capabilities – abilities that not only treat water in a purely technical manner but celebrate water as a valuable resource. 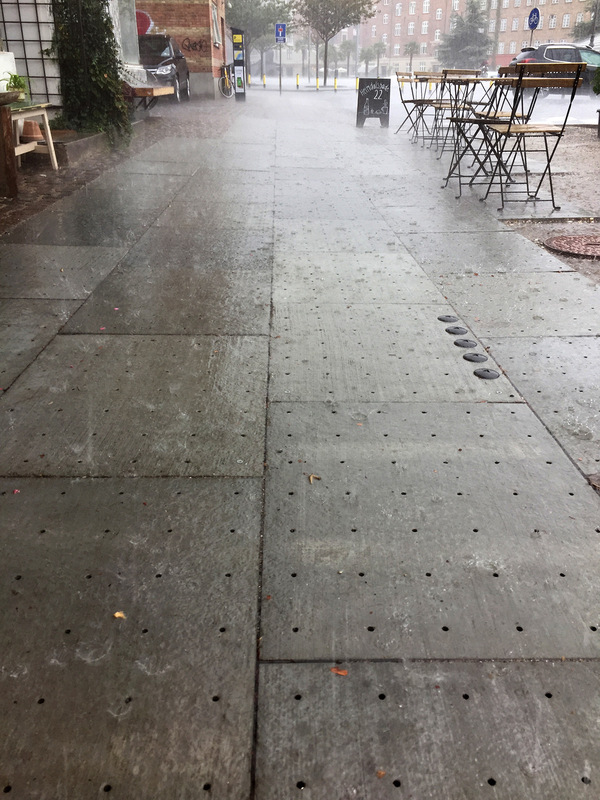 The Climate Tile reintroduces the natural water circuit in the existing cities by a simple process that manages the rainwater from the roof and sidewalks and ensures that the water runs to the right place e.g. to plant holes and water banks. It can catch and redirect 30% of the projected extra rainwater coming due to climate change, and thereby prevent overloads within the existing drainage infrastructure. “We are happy to be able to now demonstrate a scalable climate adaptation system. Beyond working 1% of the time when we have climate accelerated rain incidents, the solution furthermore creates value for the city the remaining 99%. We believe our streets are the bloodstreams of society where people meet and that the sidewalk is an underappreciated part of our infrastructure that holds great potential for future communities in our ever-growing cities,” says Flemming Rafn Thomsen, partner at THIRD NATURE. 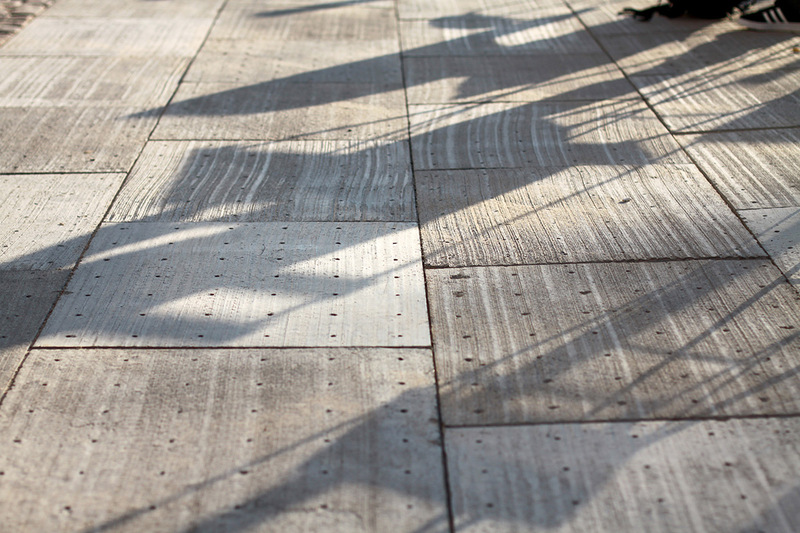 The Climate Tile develops and couples traditionally separate functions. 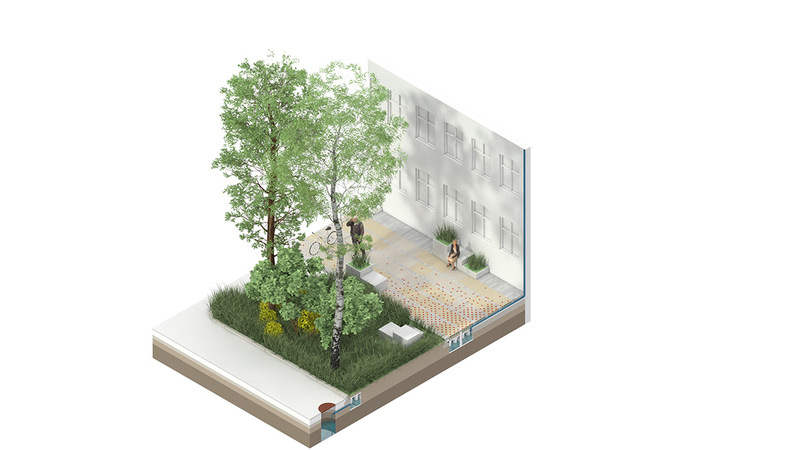 With the development of The Climate Tile, future sidewalks will collect and manage water, whilst contributing to the growth of an urban nature and improved microclimate. Thereby the tile generates added value for the citizens and raises the level of life quality and general health within the city. 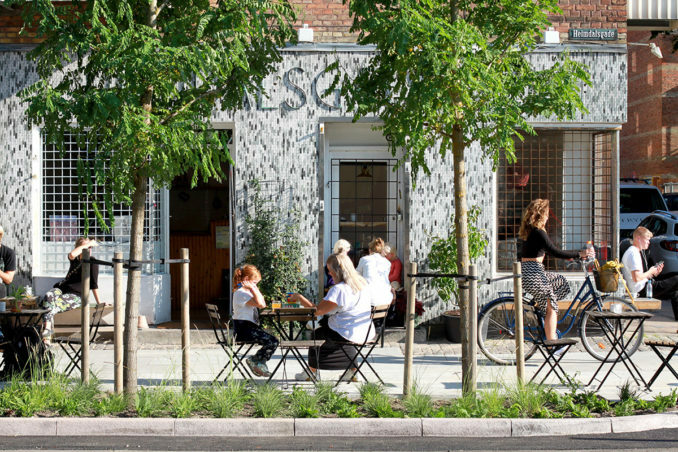 The project is seen largely as an inclusive solution in synergy with both roads, bike paths, signage, urban furniture, town squares, urban nature and more. 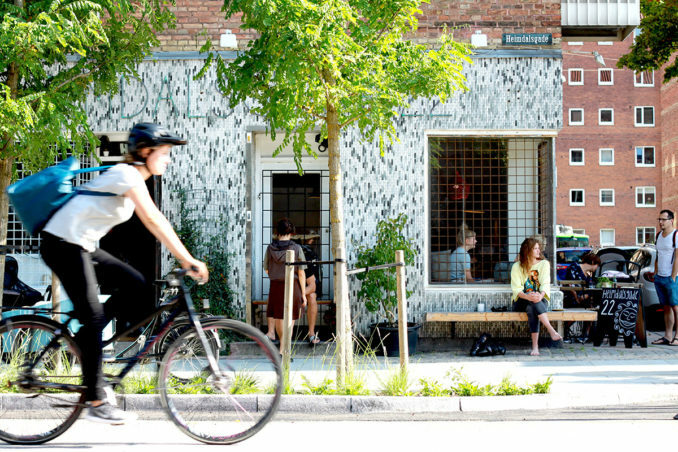 what role it can play in the City’s climate adaptation and how the citizens welcome it,” says Jan Rasmussen, project manager at the Center for Climate Change Adaptation at the City of Copenhagen. Credits: The project is designed by THIRD NATURE and developed in collaboration with IBF and ACO Nordic. Other partners are the City of Copenhagen, Malmos, Technological Institute, Orbicon, Kollision and Smith Innovation. Realdania and The Market Development Fund have supported the Climate Tile’s development process financially. Period: 2014 – ongoing. 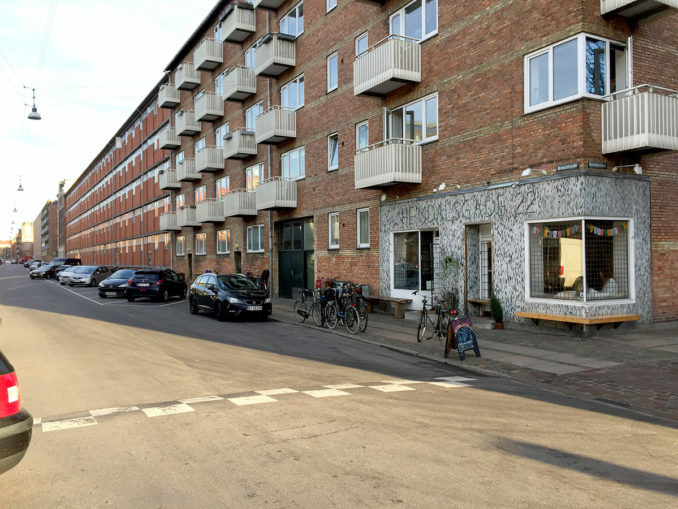 Pilot sidewalk constructed September 2018 at Nørrebro, Copenhagen. På en 50 meter lang fortovsstrækning på Heimdalsgade kan du nu gå på vandet. 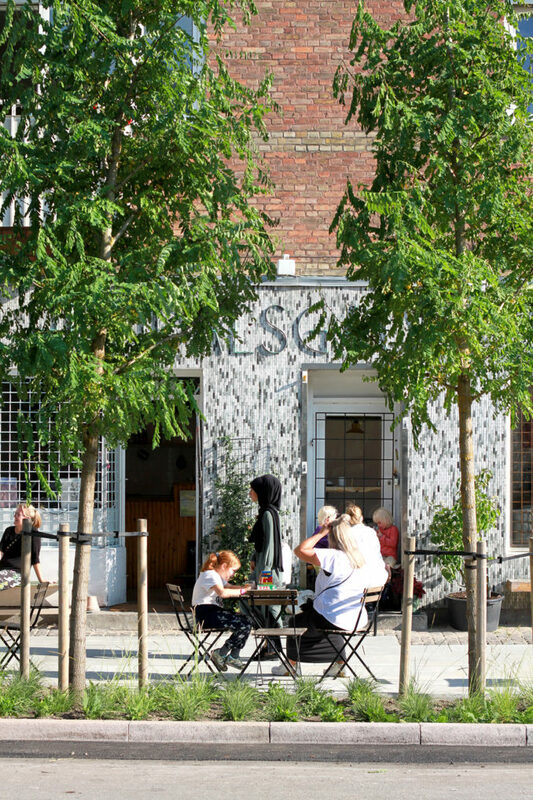 Et pilotstræk for det skalerbare klimatilpasningsprojekt Klimaflisen er anlagt foran café Heimdalsgade22, til stor glæde for gæster og beboere i gaden. Projektet indvies officielt d. 27. september af Københavns Teknik og Miljøborgmester. Klimaflisens pilotstræk på Heimdalsgade bidrager ikke kun til gadens klimatilpasning, men tilfører også yderligere kvaliteter til gaden i form af træer og beplantning, plads til ophold og en smukkere overflade. Klimaflisen er udtænkt af TREDJE NATUR og udviklet i samarbejde med IBF og ACO Nordic. Pilotstrækket er en stor milepæl i Klimaflisens flerårige udviklingsproces og anlæggelsen skal derfor fejres af projektteamet sammen med Københavns Kommune, Realdania, Markedsmodningsfonden og øvrige samarbejdspartnere. Ninna Hedeager Olsen, Københavns Teknik og Miljøborgmester indvier pilotstrækket officielt torsdag d. 27. september kl. 17 foran café Heimdalsgade22. Alle er inviterede til at tage del i festlighederne! Som et led i næste fase for Klimaflisen er TREDJE NATUR nu interesseret i at komme i dialog med de danske kommuner og forsyninger om potentielle partnerskaber og anlæggelsen af flere fortov. Kontakt tegnestuen ved interesse. Kreditering: Projektet er udtænkt af TREDJE NATUR og udviklet i samarbejde med IBF og ACO Nordic. Øvrige samarbejdspartnere tæller Københavns Kommune, Malmos, Teknologisk Institut, Orbicon, Kollision og Smith Innovation. Realdania og Markedsmodningsfonden har støttet Klimaflisens udviklingsforløb.